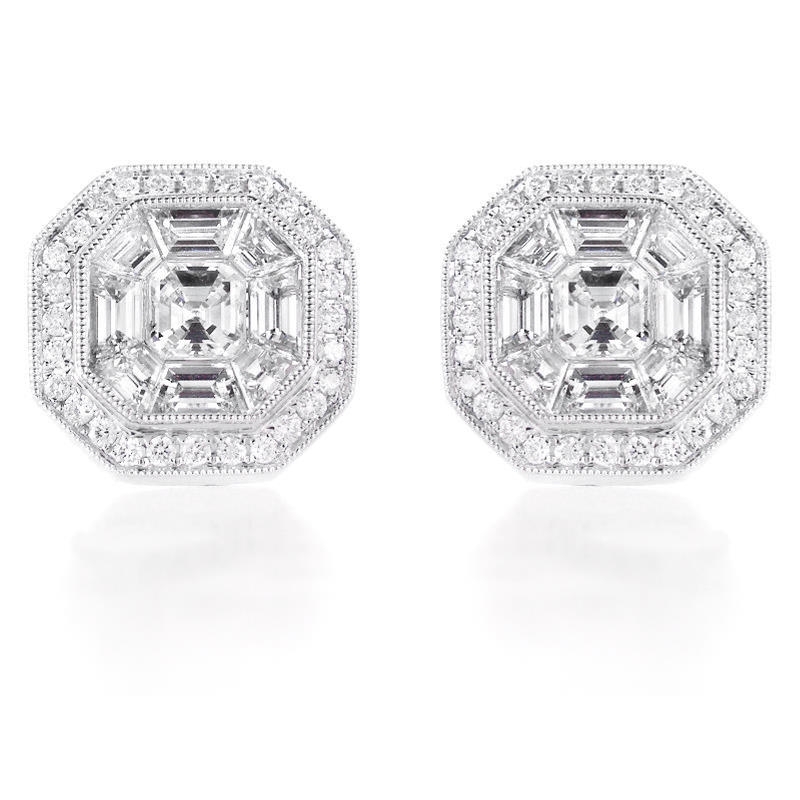 Diamond Details: 2 Asscher cut, 16 baguette cut and 56 round brilliant cut white diamonds of F color, VS2 clarity, with excellent cut and brilliance, weighing 2.48 carats total. Earring Details: 18k white gold with antique style caviar beading. Back Details: Posts & push backs. Measurements: 11.5mm in length and 11.5mm at the widest point. 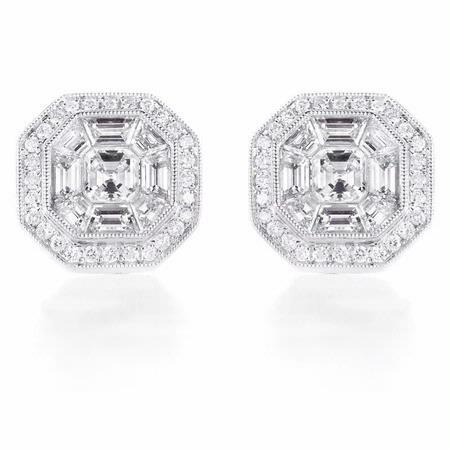 These beautiful antique style 18k white gold earrings contain 2 asscher cut, 16 baguette cut and 56 round brilliant cut white diamonds of F color, VS2 clarity and excellent cut and brilliance weighing 2.48 carats total. A great gift idea! 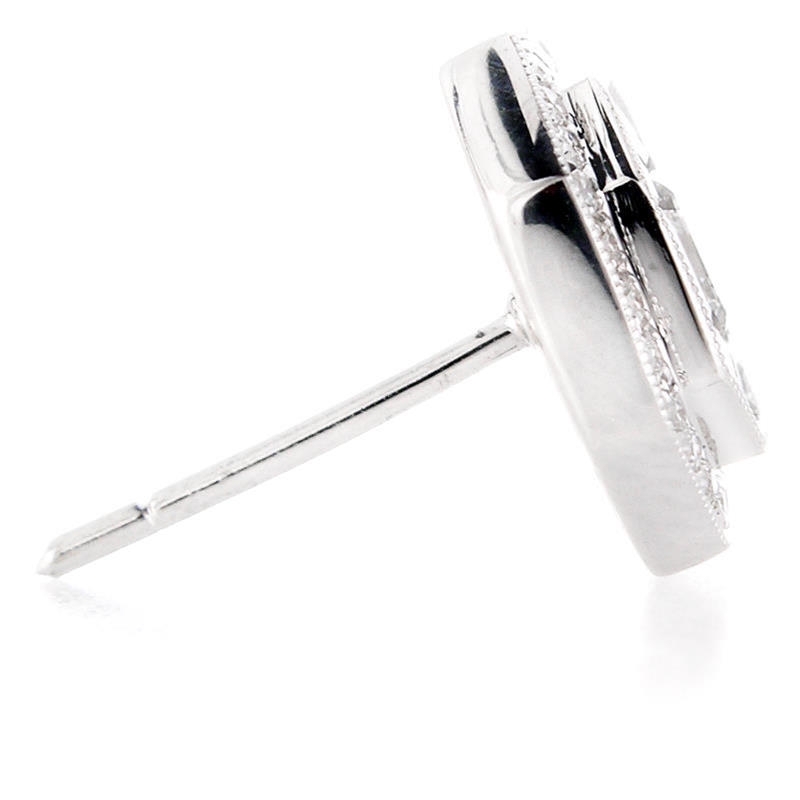 These earrings contain posts & push backs, and measure 11.5mm in length and 11.5mm at the widest point.